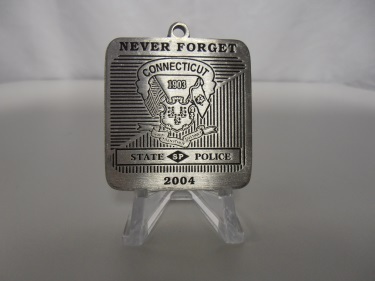 "Never Forget" the men and women who've dedicated their lives to protect yours with this great commemorative 2004 State Police Ornament. 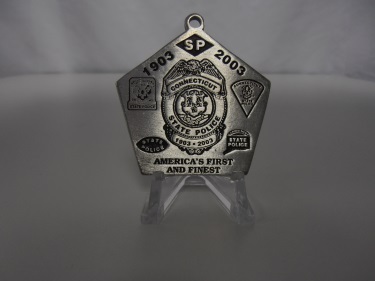 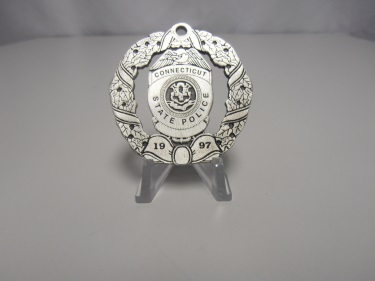 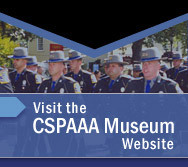 America's First and Finest 2003 ornament with the State Police Badge embedded in the center. 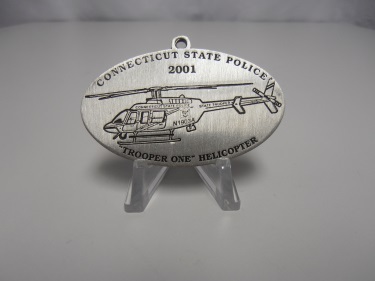 Trooper One Chopper flying in the center of this great ornament. 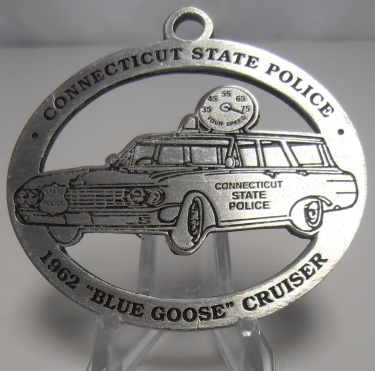 Commemorative 1962 "Blue Goose" Police Cruiser with Speedo atop the car. 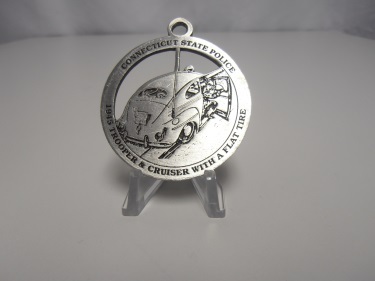 Year 1946 showing a trooper changing a flat tire on his Ford Police Car. 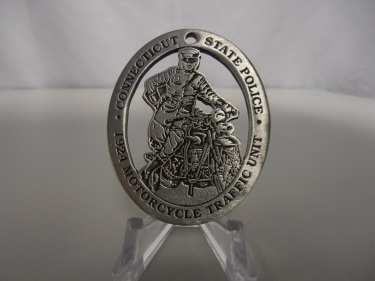 1924 Police Officer conducting traffic with his motorcycle right beside him. 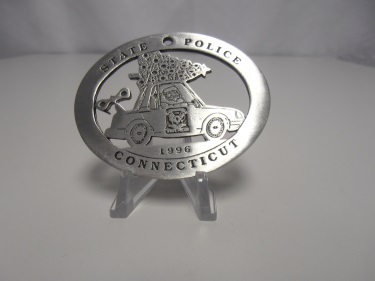 Really get into the Christmas spirit with this ornament that proudly shows the State Police badge wrapped warmly inside a wreath. 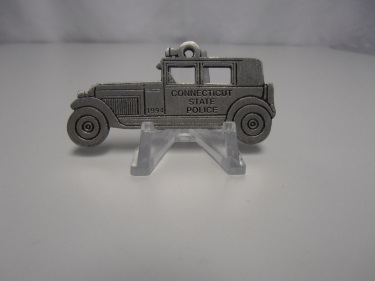 Old Car wind up toy with CSP logo on the door and showing the Christmas spirit with a tree on top. 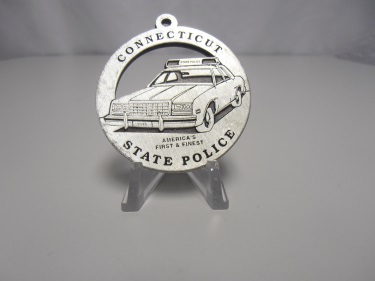 America's First and Finest with a proud display of a retired Police Car.